Russian opposition leader Alexei Navalny, set free after a month behind bars for organizing opposition protests, reports that Moscow’s prisons have been refurbished to accommodate rowdy foreign World Cup fans. Navalny was detained on May 5 and jailed a week later for holding mass rallies ahead of President Vladimir Putin’s inauguration. He walked free on Thursday, the day the Russian national football team kicks off the month-long tournament against Saudi Arabia in Moscow. 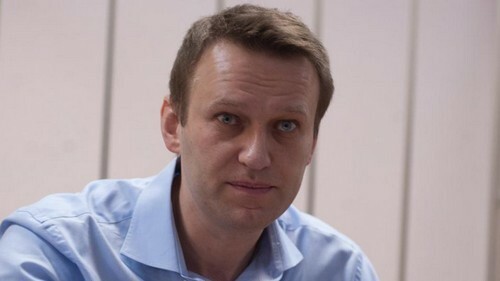 In addition to installing toilet bowls and painting the prison bars, Navalny said cell blocks have been fitted with LCD screens for prisoners to watch World Cup matches. Prison food “is now better than in restaurants,” with grilled meat kebabs as the main course and a “military school cadet who walks around handing out menus” as waiter. English-speaking female students wearing outfits that were “a cross between police and flight attendant uniforms” have been hired as interpreters, Navalny said. But for now, few World Cup fans have found themselves in the refurbished cell blocks. “Since there are no foreigners yet, the students are bored, they complain loudly and demand mass arrests to meet people,” he said.